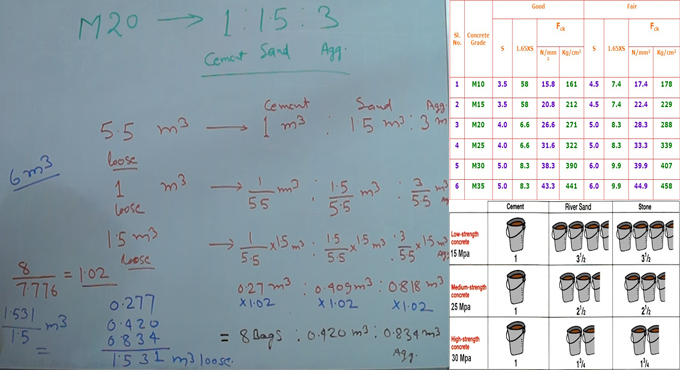 This construction video provides some easy-to-follow processes for measuring cement, sand and aggregate for M20 concrete TA0021. Volume of loose Concrete = 1.54 to 1.57 times Volume of dense concrete. Method of findingthe dry ingredient quantity of 1 m3 concrete.